Vegetarian or Vegan? 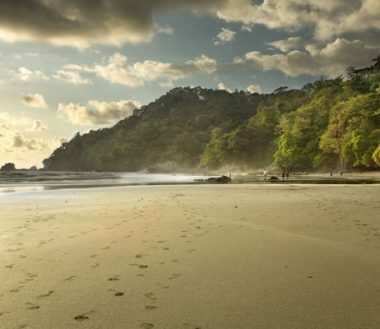 Why You’ll LOVE Costa Rica! 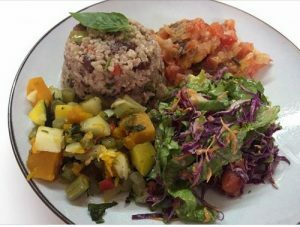 Wondering how hard it would be to find delicious vegetarian and vegan food on your adventure vacation in Costa Rica? Wonder no more! We give you a low-down on the best dishes to try, best places to go and the best tips to ensure your taste buds enjoy your adventure in Costa Rica as much as the rest of you will! There’s no denying that traveling is becoming increasingly easier for vegetarians and vegans in Costa Rica. The country that invented the slow-food movement and the one which boasts one of the world’s rare Blue Zones is all about good food choices, a healthy lifestyle and a more conscientious approach to nourishment. For vegans and vegetarians, this spells great news. Gone are the days when all you’d have to resort to eating was rice and beans three times a day. Nowadays, vegan and vegetarian options abound and, more importantly, local food establishment – be they fancy restaurants in major cities or soda shacks on the side of the road – have realized the importance of offering a variety of meat-free, fish-free and animal product-free dishes. Understand more about local dishes – Most people don’t realize that Cost Rica cuisine is actually vegetarian for the most part. Even locals who may not adhere to a vegetarian lifestyle per se, tend to eat mostly vegetables. This is actually the case in many lesser-developed parts of the world: meat is a luxury, often an expensive one and is simply not cooked regularly. Casado, a local plate of rice, beans, plantains, salad and a tortilla, has always been vegetarian, although now locals have realized that they should call it ‘casado vegetariano’ for visitor’s sake. Ask for that when eating at local establishments and you can skip the titbit of meat or fried egg that is sometimes served as a side dish. If you’re vegan, simply as for a casado vegetariano ‘sin huevo’ and ‘sin queso’ (without egg and without cheese). You’ll even find that tacos, which at home are usually covered in cream and cheese, are made much simpler and healthier in Costa Rica. If you ever want to ask for a dish without meat, simply say ‘sin carne’, even if you don’t see a specific vegetarian option on the menu. Love the basics – Some of the best vegetarian local dishes to try are arroz con palmito (rice with heart of palm), sopa negra (soup made with black beans), chorreadas (amazing corn pancakes) enchilada de papas (potato enchiladas) and, of course, patacones, which are smashed plantains usually served with avocado salsa on top! If you’re gluten-free, you’ll also find a wealth of options in Costa Rica, with most carbs also made from corn, rather than white flour. 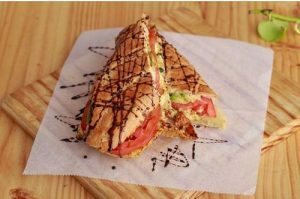 Check out the Happy Cow – This website is a vegan/vegetarian’s best friend in Costa Rica and lists the most prominent vegie dining options all over the country (over 40 in San Jose alone!) and is constantly updated. This is a wonderful resource so you can plan your dining ahead of time. The more developed & touristed, the better – As you can see from the Happy Cow’s list, the most touristed hubs will offer the greatest array of choice, so stick to prominent destinations if you want greater choices. Puerto Viejo, on the Caribbean coast, is a particularly excellent place for vegetarians and vegans to visit. The town is a very laid-back hub with a hippie vibe and has plenty of vegan/vegetarian choices to match the ambience and the crowd. Go nuts at local farmers markets – The sheer array of exotic fruits in Costa Rica is awe-inspiring and never will you have a better reason to try fruit you’ve never seen before. When you visit a local farmer’s market, you’ll usually find stands selling fried plantains (a wonderfully nutritious banana chock-full of vitamins and minerals) and fresh avocado salads which are delicious and sustaining. The bigger markets, especially in San Jose, boast stands that serve up delectable vegan wraps with home-made hummus and grilled vegetables. The options abound, so get out there and explore and remember that whenever you plan to visit a local farmer’s market, always go with plenty of appetite! Include a few days’ stay in a yoga retreat – Yoga and vegetarianism/veganism don’t always have to go hand in hand but, sometimes, they really do. The Top Rated Yoga Retreats in Costa Rica are a wonderful option for those looking for a comprehensive and very organic experience in the country and all offer fantastic vegetarian and vegan nourishment options. All our favorite spots are set in startling locales and offer a wealth of activities (aside from yoga, of course) to really soak up the best of their respective areas. Excellent animal-free cuisine is just another reason to try them out. Get hands-on culinary experiences on tailor-made cooking classes – Costa Rica is swiftly becoming a foodie’s paradise and the rise of exceptional food classes, courses and tours offer wonderful vegetarian and vegan options as well. Check out the Best Foodie Tours in Costa Rica. Pescatarians, rejoice! – Pescatarians have it a little easier on adventure vacations in Costa Rica, especially in prime seaside locations where fish, shrimp and ceviche feature heavily on local menus. 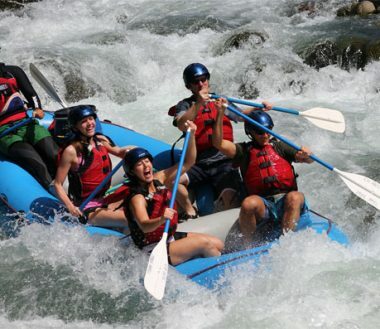 Guided adventure tours – You get exactly what you want! 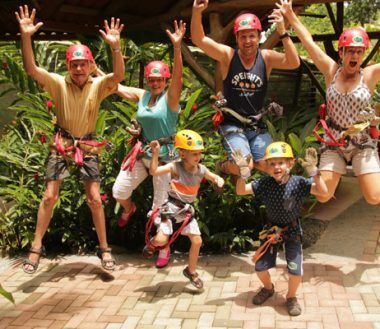 At Costa Rica Rios, we pride ourselves in offering the most comprehensive adventure tours in Costa Rica, with personalized service which includes special consideration and planning for specific dietary requirements. We do all the hard work and take the hassle out of your research and endeavor to deliver awesome adventures for your body, soul…and taste buds! We’ll take you to the most remote corners of the country and show you what a stunning and adventurous destination Costa Rica really is, with an array of multi-sport adventures for honeymooners, families, couples or single travelers venturing out alone. For more details, contact us today.